According to owners of gymnastics and fitness centers, many parents would call them and ask some questions about classes and say something like they just want their kids to be physically active and do not want their children to become a gymnast at that. Some of the most common questions parents ask are about the cost of learning gymnastics, schedule of classes and how much time is needed per week, the things that kids will learn about gymnastics, and a lot more relevant questions. At times, it takes more than a telephone conversation in order to answer their questions especially when asking about benefits as there are indeed lots of benefits a gymnastics class can provide to toddlers and kids. 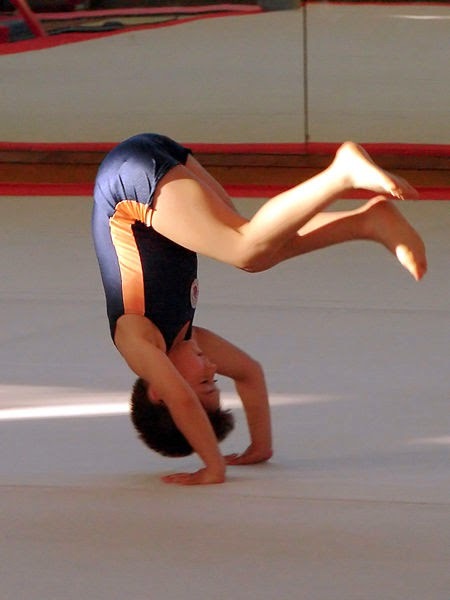 It will take a huge amount of time to tell parents the many benefits of gymnastics for kids such as cognitive benefits - ability to develop their mental skills; physical benefits - ability to synchronize brain and body movements, flexibility, and coordination to name some aspects; social benefits - ability to deal not only with kids like them but also with adults such as their teachers for example. In general, the whole range of benefits kids acquire from gymnastics classes or programs will result into development of a self – disciplined and well rounded character individual in the future. But how do you find the right gymnastics schools or facilities for your kids? 1. Because kids need to be watched, ensure that the center have a view deck where you can watch your kids perform their routines or observe them while they are listening and interacting with their teacher and their peers. The view deck will make you confident as you can see that your kids are neither harmed nor hurt. 2. Because kids are susceptible to virus, bacteria, or germs, you have to ensure that the sports facilities where gymnastics classes are held are well maintained and hygienic. You must remember that not only kids are using some of the gymnastics equipments like swings and mats but adults also. Thus, you have to ask the office manager about the method and frequency of hygiene activities in the sports facility. Unlike adults, kids immune system are not yet fully developed; thus, the reason why you have to place top most importance on the health and hygiene aspect of the sports facility offering gymnastics classes or programs for kids. 3. Because kids need to be guided and protected, you need to ensure that there are safety and security measures in the gymnastics clubs. You should see fire extinguishers, CCTV cameras, well lighted halls and entrances, security personnel, gates and fences, blockades and child friendly warning signs. 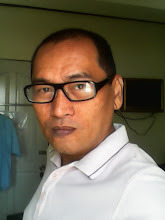 The whole sports center should also be child friendly; meaning, no seats should have rough and pointed edges, no dangerous equipments, storage bins and rooms are locked properly, and there should be a resting place for kids where they can take their time off if they get tired or drink their milk or eat their food under a watchful eye of course. 4. Because you want your child to learn more about gymnastics and acquire different benefits of attending gymnastics classes, you should ensure that there is a right ratio between students and teachers. There is no ideal ratio but you should be able to tell that the given ratio will make you confident that the teacher indeed not only teach gymnastics but can also watch kids and avoid situations where children go astray. 5. When you conduct ocular inspection, take note of the faces, especially of the kids. You should see smiling and confident faces. You should not see children wearing terrified faces and gloomy outlook among parents. In fact, you should check the gymnastics teacher’s credentials and find out if these people underwent child care or has license or qualifications to teach children. It is important that the gymnastics teacher should know how to deal with kids very well so that they will not be traumatized and should enjoy their tumbling, jumping, and swinging activities. 6. Check the location and see if it is child friendly. Is it far away from the main road where there is lots of traffic? Is there a history where kids were kidnapped? Is there a hospital near it just in case an emergency happens and your kids need immediate treatment? 7. You have to ask around or ask for references from the office administrator of the facility holding gymnastics classes. You have to have first-hand account on how people behind the gymnastics program run their classes. You have to know if parents have encountered situations with the teachers or coaches that led to parents withdrawing their kids from their gymnastics classes. 8. Do not forget to ask questions about their teachers. You should be able to know the personality of the teachers and coaches if they are child friendly or they have a balanced attitude when it comes to achievers and non–achievers or based on feedback. Your gut feel can tell you whether or not your kids will like their gymnast instructors. 9. Check their credentials to see if they are qualified to accept toddlers and pre-schoolers. Remember that kids at different age levels have different learning styles, abilities, and requirements. You might be endorsing your child to a gymnastics class where the teachers treat kids like teenagers. All of these things will not only ensure that your child will enjoy attending gymnastics classes but gives you confidence that they will learn and enjoy at the same time and avoid being worried while your kids are attending their gymnastics classes.